​Inside the Music- Are you feeling it? During this one hour long interactive concert, we invited the audience to see how we produce sound on different instruments, with high rate frame cameras capturing these vibrations. We also explored how the actual vibrations create sound and interact with the human senses, particularly “feel”. Through performances of chamber works by Beethoven, Mozart and Carter, we discussed how the different instrument timbres blend and create new sounds together. ​Inside the Music- May I have the best seat in the house please? ​Inside the Music- Are you listening? ​During this one hour long interactive concert, we gave the audience an opportunity to have a closer look into the rehearsal process of a chamber group and how artistic decisions are made. 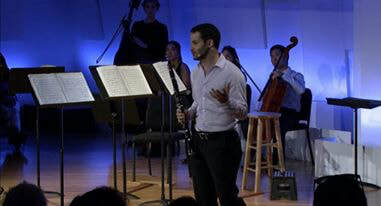 In my effort to include the audience in this process, I created an online survey in which the audience voted, in real time, how they want us to interpret and perform the piece by the end of the concert. 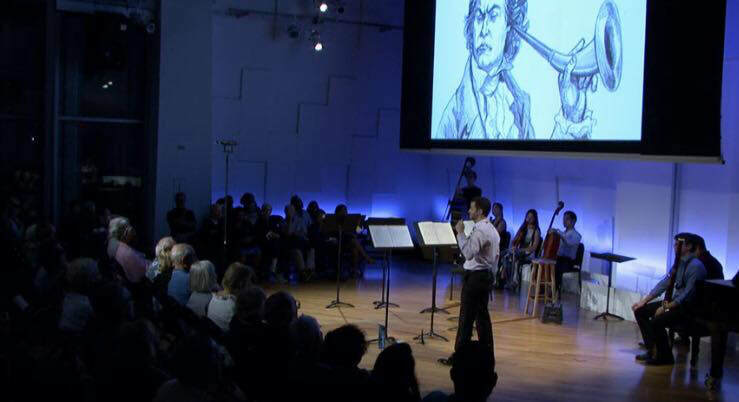 Over 100 audience members participated in the live voting process and created an inclusive performance of Beethoven Trio op. 11.